RVing has led us to try many different activities. 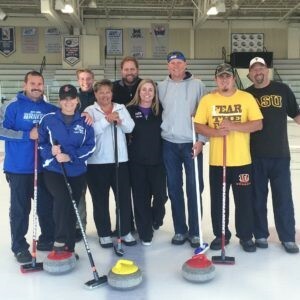 On an RV trip to McCall, Idaho, our family and friends tried curling for the first time. Our son, Jeff, is an NCAA athlete on the Oklahoma University Curling Team, so we thought we’d give it a try. We gathered our group of friends together and headed to the McCall Curling Club to see what this sport was all about! Okay, so we weren’t beginning on perfect ice and most of us are never going to be an Olympic curler (excluding Jeff and a couple of the kids, of course). The goal of our day trip was just to have fun, so the ice conditions did not have to be perfect! 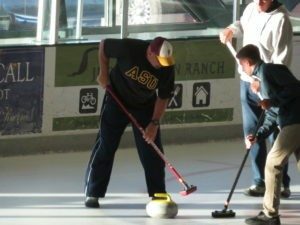 First, the curling instructors showed us proper form and balance and practiced the long lunge involved in releasing the stone. Some family members participated on the ice, while others were there for moral support. After we’d mastered sending the stone — “mastered” is such an optimistic word — we broke off into teams and were ready to go. Mastering how to send the stone down the lane is the hardest part of curling. The kids took to it right away, strategizing and expertly curling their stones exactly where they wanted. The parents. on the other hand, not so much. It took a while to finally get the right technique so that don’t hurl the 44-pound stone down the ice. We learned that if you slide longer and with more control, you can gently release the stone from your grasp with a subtle move of your hand to either curl it to the left or to the right. Let me tell you — sweeping is a cardio event. This is the part of curling where the second player on the team moves along the ice with the stone. The act of sweeping removes friction and allows the stone to travel farther. You can effect the speed and direction of a stone traveling toward your “end” or help an opponent’s stone get out of the circles of the “end” you are trying to score in. The “end” is the giant target at each end of the ice sheet you’re playing on. Our in-laws sat in the stands relaxing and watching us learn how to curl. We were not prepared for how much of a work-out curling could be and their job became constantly fetching us water. After we’d played a few games our time was up, and it was time to go. Everyone raved at how much fun it was and commented on how sore we might be in a couple days. Mark and I exercise a lot, and I was still surprised at how sore we were. Jeff was definitely to blame for the family being sore and exhausted. “Darn you, Jeff!” was heard a time or two from people as they walked out of their RVs on the rest of our trip. 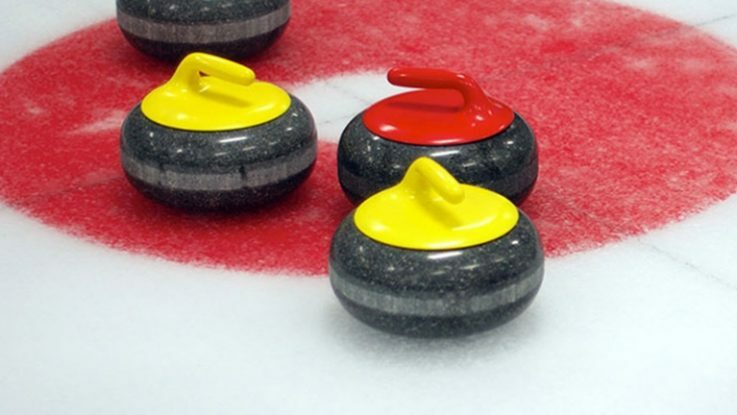 We encourage everyone to give curling a try, whether you are watching or playing. 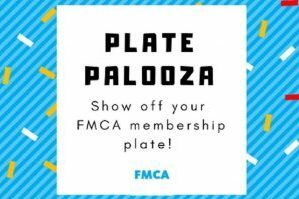 This activity was fun to try on our RV trip, and it truly was a family activity. Curling is a workout, but it’s a blast! I’m Maureen Milne, F44681. I’m a mom of two (now grown-up!) boys, ages 26 and 24. My husband, Mark, and I have been married 30 years. We are an adventurous family; our friends call us “X-Games.” We are avid hikers, cyclists, and skiers (both snow and water). Mark does triathlons and we run in 4-5 races a year. We’ve been RVing together since we were teenagers in 1984. I’m a three-year thyroid cancer survivor, which has given me a new perspective on life. I share our RVing adventures on my blog, M&M Hit The Road. I also post stories and pictures on Facebook and Instagram. Curling is so much fun! You’ll be hooked your first try! 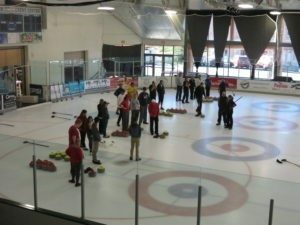 It was so much fun watching everyone learn to curl. Maureen was absolutely right when she said the kids took to it much easier than the adults.